The Ladies in White are a group consisting of the mothers, daughters, sisters, and wives of political prisoners. They protest the communist regime’s violent repression of speech and religion every Sunday by attempting to attend Mass wearing white and holding gladiolas, often carrying photos of their imprisoned loved ones. 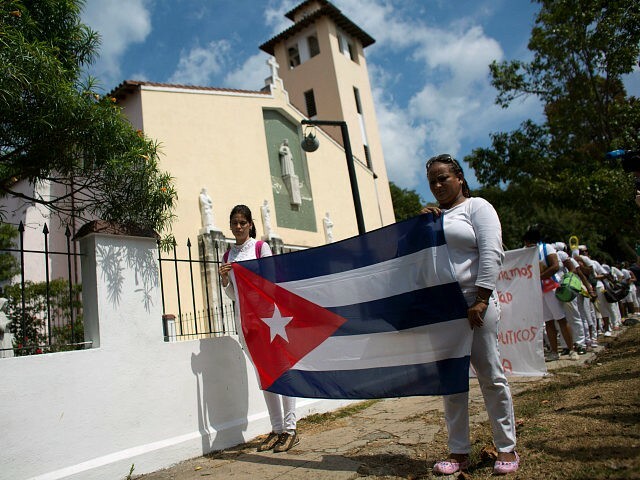 The Havana wing of the group has not been able to attend Mass at their Santa Rita church for 140 Sundays, according to the Cuban-American outlet Babalú Blog. Next week, they will mark two years of being banned from their own church. The Catholic Church largely cooperates with the Cuban Castro regime, despite the latter being nominally atheist and forcing the church to disregard gross human rights abuses. In exchange, with the exception of the Ladies in White, the Cuban regime tends to crack down harder on Evangelical and other non-Catholic Christian denominations. The most prominent Christian political prisoner on the island is arguably Eduardo Cardet, the head of the dissident Christian Liberation Movement. Cardet has been in prison for a year and four months out of a three-year sentence for not having signed a condolence book following the death of dictator Fidel Castro. His family has demanded medical care for his severe asthma, which has worsened following assaults behind bars. The U.S.-based outlet Martí Noticias reports this week that 36 Ladies in White were arrested throughout the island on Palm Sunday, including the group’s leader, Berta Soler, and her husband, former political prisoner and activist Ángel Moya. Last week, the regime prevented Soler from leaving the country to attend an event in Washington, DC, titled “The Struggle for Freedom: the Cases of Cuba and Venezuela.” The regime routinely prevents Soler from leaving the country for such events despite allowing Castro-friendly musicians and other artists to visit the United States regularly. Soler and the Ladies in White generally received the 2005 Andrei Sakharov prize from the European Parliament for their activism. The largest number of arrests were reported in Matanzas province, on the eastern border with Havana. María Cristina Labrada, an activist with the group who alerted Martí to the arrests, made clear that there is a high probability that more arrests occurred, but those detained could not yet be reached at press time. At least of the women known to be arrested were being held in an undisclosed location at press time Monday. Labrada described the arrest of Soler, who faces temporary arrests and expensive fines for her civil disobedience on a nearly weekly basis, as especially violent. Others who were freed more rapidly received fines of up to 2000 pesos, in a nation where doctors make 1,775.50 pesos a month. Of the dozens of women who attempted to practice their religion on the island, Labrada says only seven made it into churches in Havana. The Cuban regime conducted 347 arbitrary arrests in February, many involving the same group of Ladies in White protesters, according to the NGO Cuban Commission for Human Rights and National Reconciliation (CCDHRN). 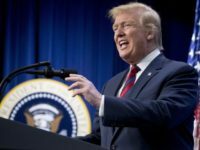 The number, according to the group, is the highest it has been since October 2017. In addition to those routinely arrested in the short term, the group has identified over one hundred political prisoners facing extended sentences on the island.